The choices we make today have a lasting impact on our life. This is something I am trying to make my young children understand. Right now, the choice is to obey or not obey mommy and daddy. When we don’t obey, there is a consequence. We must teach our children this now while they are young, that our choices always have an outcome, whether it be good or bad. Sooner than we can imagine, these little ones will be grown and their life choices will be impacting their tomorrows. I just came back from a Lysa TerKeurst conference. Oh, it was amazing!! God met me right where I needed to be met. I have been struggling with feeling overwhelmed. 1. Wisdom is a choice. My choices today are going to determine whether I feel overwhelmed tomorrow. How do you determine today’s choices? Are they imbued with wisdom, or are you doing it all on your own? Wisdom is putting into action the knowledge that Christ has blessed you with. 2. Trust in the Lord and seek His guidance. He will give you the discernment you need. Not only for the big decisions, but the little decisions as well. Obviously, wisdom is a big deal in the Bible. When we can discern God’s will for our lives, our decisions will reflect that. 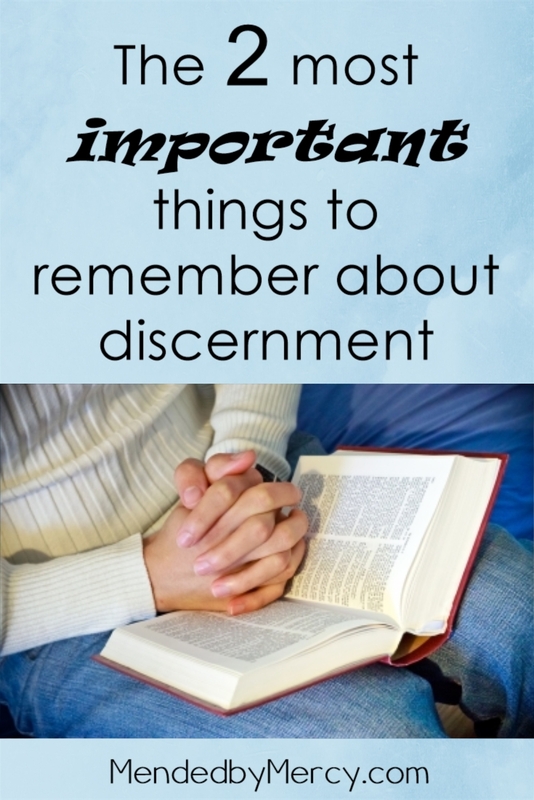 Discernment comes from the Holy Spirit. 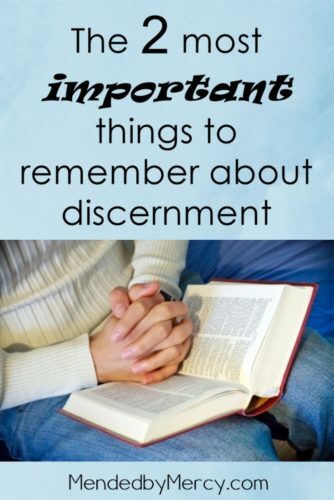 Not only will we be able to discern God’s will, but we will also gain knowledge and insight and then we can truly determine what God’s will for us is. Today I am asking God to bless me with discernment. Do you need to ask Him for it too? Hi. Still true today and ever will be until the Lord Jesus Christ has not come yet. HI Stephanie! Blessings from CBB! This is such a wonderful reminder about seeking God’s wisdom to discern His will for our lives …even on the most overwhelming days. Amen. Thank you for sharing! Blessings from missionzera! You GOT TO SEE LYSA!!!!????? Oh that is just WONDERFUL!! *Someday* I AM going to see her. I love her more than cookies. I needed this today. I need it every day. (As you recently read!) I spend my entire day praying for what to do next- I’m always asking “God, what do you want me to focus on next?” Then I often frantically scurry around doing all these things, without truly *listening* to what God had to say. Other times, I do listen- and that truly helps me pace myself and I feel more at peace about my decisions and about letting go of the stuff I had to dismiss.